Are you looking to install a chimney in your own home, or perhaps construction and home improvement is in your line of work? Look for Majestic products for clear installation instructions and long-lasting performance. 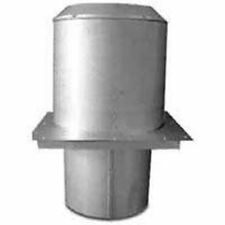 The Majestic AS8 Attic Insulation Shield with Straight Flue is a high quality product that is a necessary piece when building a chimney through an attic. If there's a possibility that the insulation in the attic may come too close to the chimney, then an insulation shield is a must. It weighs 6 pounds and measures 8 inches in diameter. It also comes with a straight flue; the firestop is not included.